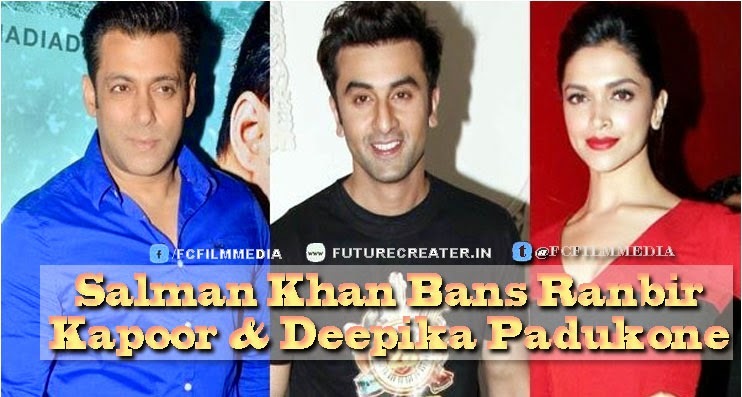 Superstar Salman Khan has banned Ranbir Kapoor and his ex girlfriend Deepika Padukone from his ‘Kick’ Bash. Yes, Sallu miyaan doesn’t want RK and his ex-girlfriend to attend the big bash which we hear will take place after Kick releases. We all know the reason Salman Khan keeping a safe distance from Ranbir Kapoor (Katrina Kaif), but Deepika too banned why..? As per sources, Salman Khan and Jacqueline Fernandez starrer ‘Kick’ production team are planning to throw a big bash once the action flick hits the screens. Well it’s as the distributors have predicted that the film will witness a record breaking opening. While majority of the Bollywood celebrities will be part of the celebrations, Ranbir Kapoor and Deepika Padukone however would be missing. The reason being Salman Khan, he doesn’t want them at the bash.